tracking freeware downloads for Windows Mobile Phone. Count Six healps you track Up to Six Running Counts at once:. 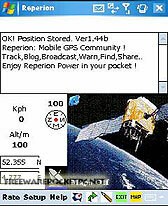 GPS tracker for Windows Mobile devices. 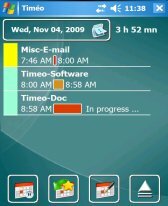 Summary: Timeo for Mobile is a time tracking application that enables to track, directly on your handhelp your working time, projects you work on and tasks you perform. 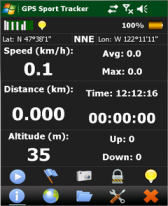 Summary: NaviComputer is a GPS mapping and offroad navigation/tracking software designed for windows mobile devices. 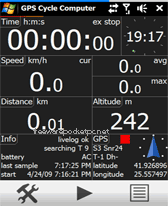 Summary: GPS tracking, shows realtime statistic (speed, altitude, distance,etc), logs and upload to www.winsportstracker.com and share with FB friends. 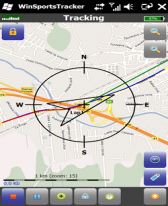 It can also be used as off-road navigation tool with offline maps. Summary: LiteTrack is the right tool to record your route, save off-road paths, retrace a journey, obtain detailed gps data, or simply get your position on the map. All staying offline! 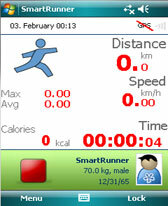 Summary: Smartrunner is a sports tracking application that will help you record and track your outdoor exercises including running, biking, hiking, inline skating, etc. 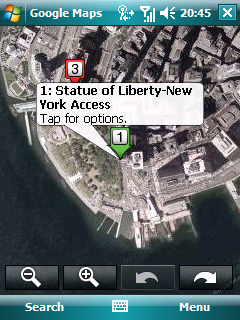 Summary: Take the power of Google Maps with you on your mobile phone. Now with Buzz! 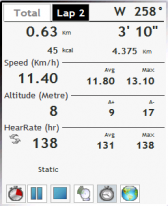 Summary: Improve your running and cycling performance using your mobile phone!